When I was a child, I loved the seesaw. Of course if the person’s weight exceeded mine, the challenge was greater. That activity can be compared to a rocking chair. If you sit and rock, you will go nowhere. If you are on a seesaw, you are not accomplishing anything but fun. Our mind is somewhat like a seesaw. As your thoughts center more and more on Him, trust displaces fear and worry. As your trust in our Lord goes up, fear and worry automatically go down. We have already entered another year. Today I sent a “Happy Birthday” greeting to a dear friend. She texted me back to thank me and tell me this one practically killed her. I didn’t have to ask. I know that she is now 80. We have been close friends in excess of 50 years. My, oh my…did I say that??? We know that energy and time are precious. They are limited entities. We must use them wisely. You and I need to focus on what is important. A Grand Old Opry Star, Minnie Pearl, said: “I’m just so proud to be here”! When the Lord calls me to leave this planet, I believe I will be anxiously awaiting that invitation. Marvin said: (on his death-bed) “If I have to live like this, I’d rather go to be with Jesus”. He had finished his course. He had preached his last sermon. I’m awaiting that call. Are you? Not long after Marvin’s home-going, the Lord spoke these words to me: “Occupy ‘till I come.“ I am endeavoring to keep his legacy alive. We have books that he wrote and a flash drive with 50 of his anointed sermons (that we can ship to you if you give a donation of $100. or more to our ministry), plus other items for sale. If you don’t have his teaching/preaching, you may want to consider purchasing items that we have on hand. We have a limited number of Thompson Chain Bibles that we will sell for $60. They have inscribed on the front “FOUNDATION FOR HUMAN HELPS, Marvin & Virginia Gorman. I also, because of his insistence, produced a Piano CD. I recorded oldies but goodies. Contact our office if you are interested in obtaining any of these items. 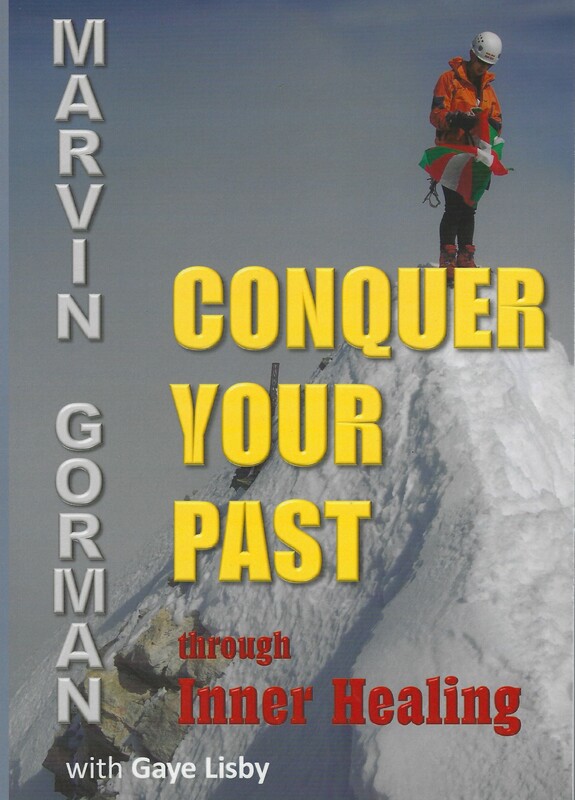 This book Conquer your Past through Inner Healing was the last book that Dr. Marvin Gorman published before his promotion to heaven in January 2017. We have received many reports that it is proving to be a tremendous blessing to all who read it. You can go to our online book store or click on the picture and order it today, the price $16.99 plus shipping.